Once again we bring you a gallery full of imagination. 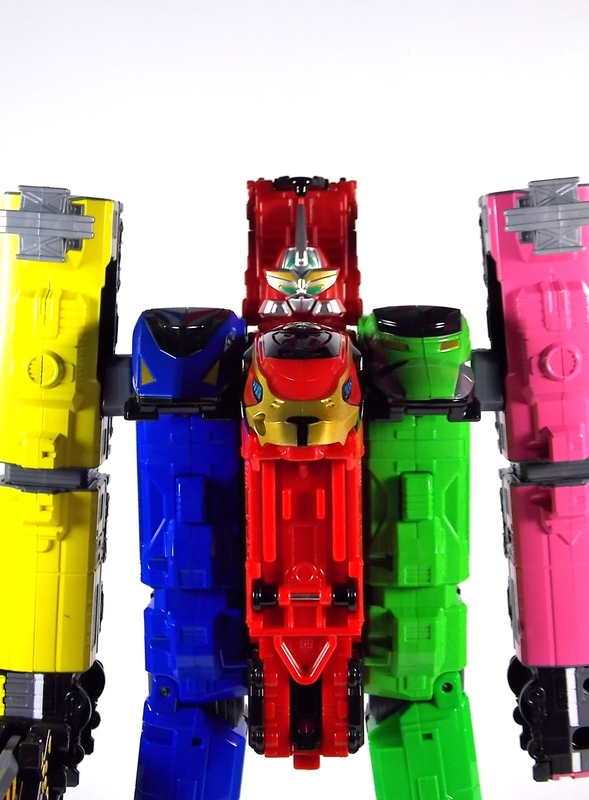 This time in the form of the DX Go-Busters Ressha from Ressha Sentai ToQger! 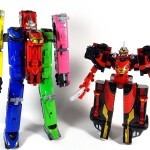 This is of course the first of two known EX or Legend Sentai Resshas in the line. 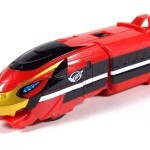 This latest Ressha is a possible movie exclusive mecha from Heisei Rider VS Show Rider: Kamen Rider Taisen Featuring Super Sentai. 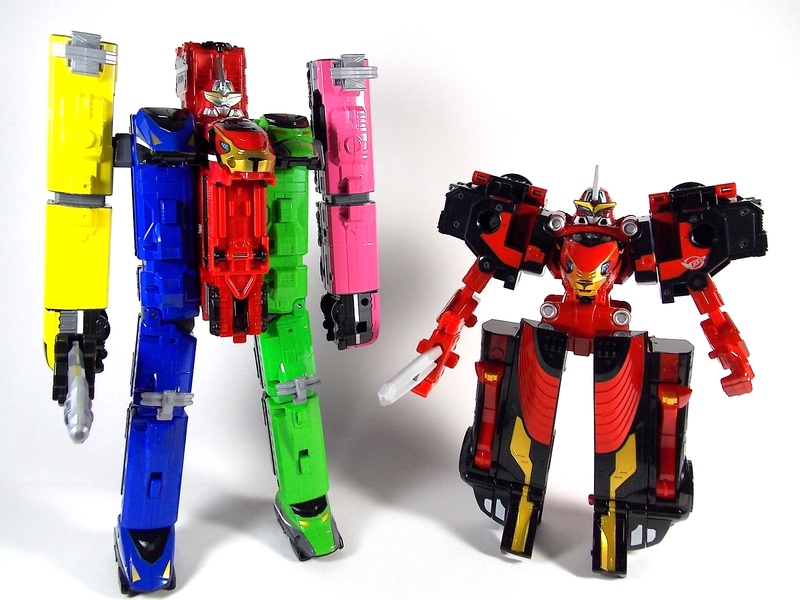 In the film the featured sentai is of course the currently running ToQger, and they get a little help from their hero pals in the form of Kyoryuger Ressha & Den-Liner Ressha. 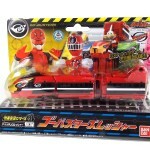 However there's no confirmation currently as to whether the Go-Busters Ressha actually appears in film. 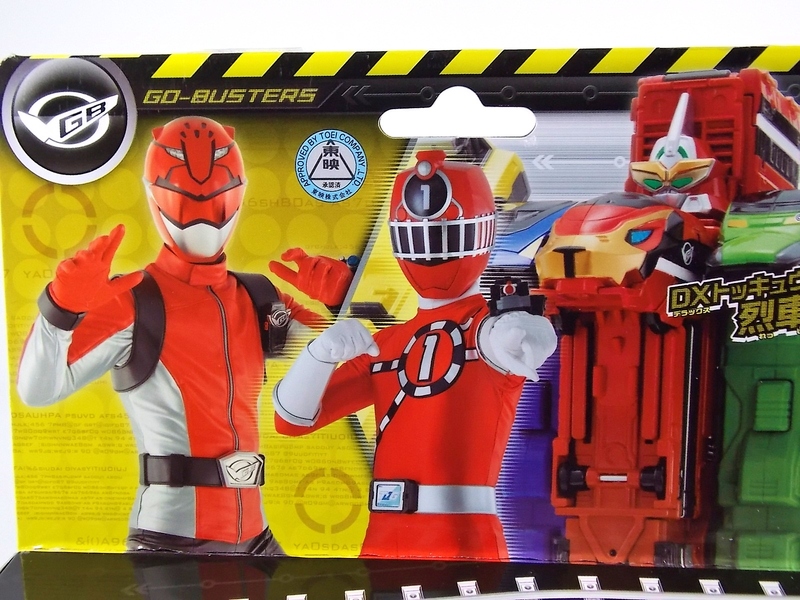 As for the DX Go-Busters Ressha itself. 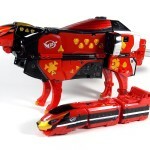 This is a new "chest" Ressha which replaces Red Ressha in the ToQ Oh formation. 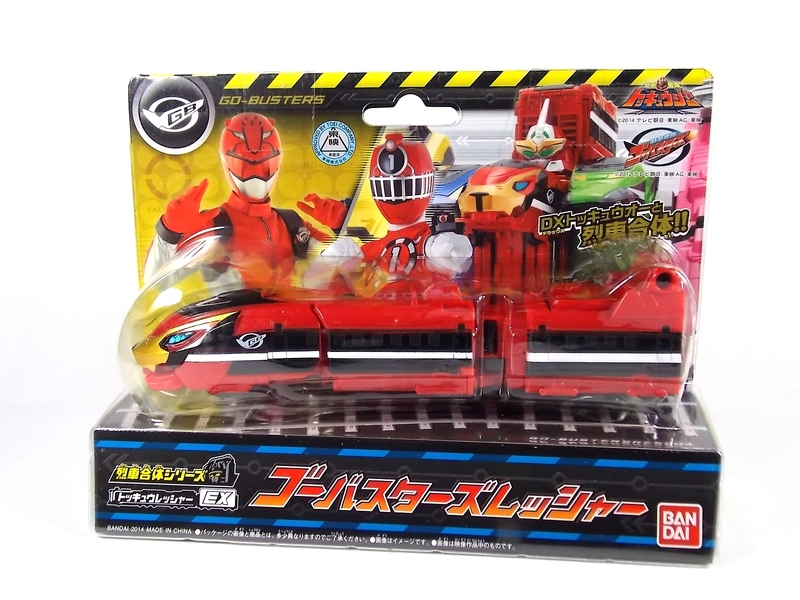 Go-Busters Ressha is a full 2 car vehicle on it's own but it's designed a bit differently from the standard. 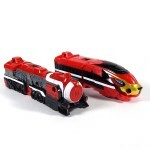 As opposed to replacing Red Ressha entirely it merely replaces the front engine section. 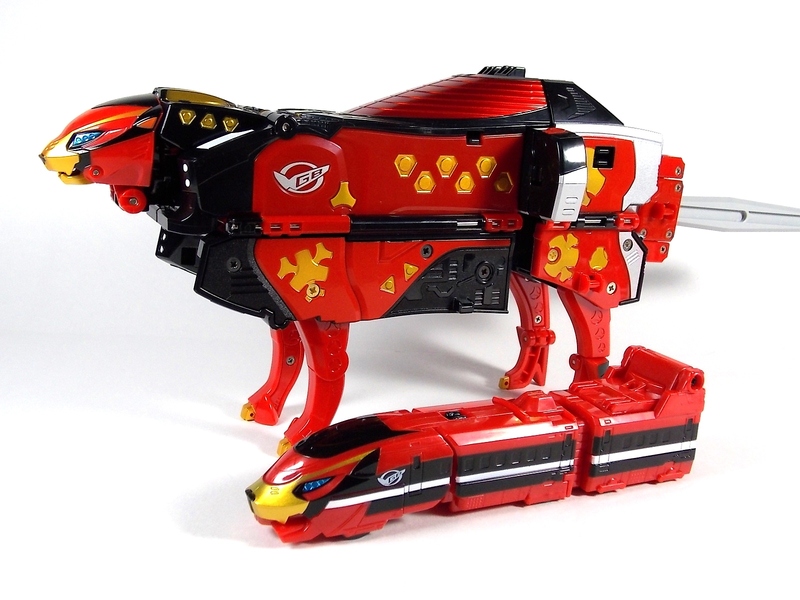 However the second car of Go-Busters Ressha is a bit smaller than the usual as well. 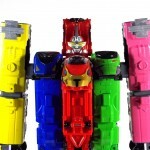 In fact it's sole purpose is to become a new head for ToQ Oh. 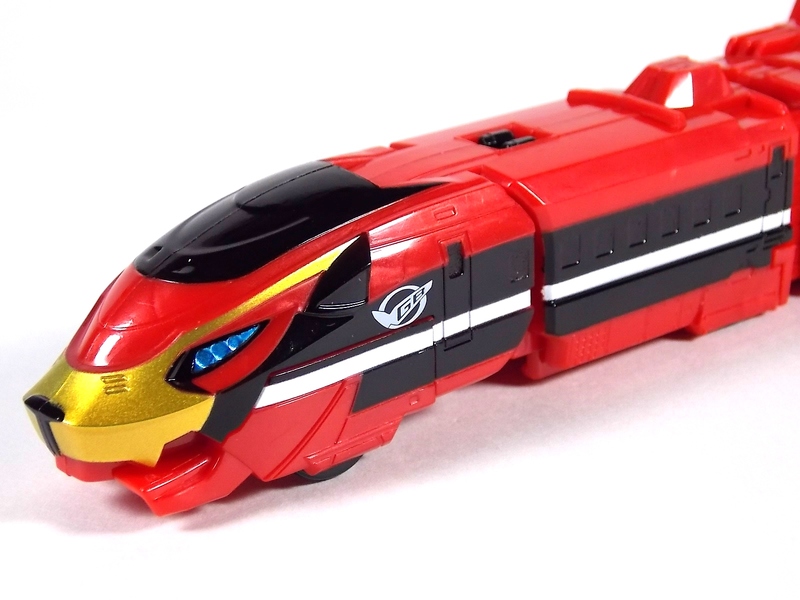 When combining you need only remove the engine of Red Ressha and replace it with the engine of Go-Busters Ressha and fold the front end at a 90 degree angle as normal. 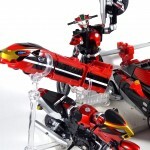 Then close up the doors and rotate ToQ Oh's head back into the compartment it's normally stored in. 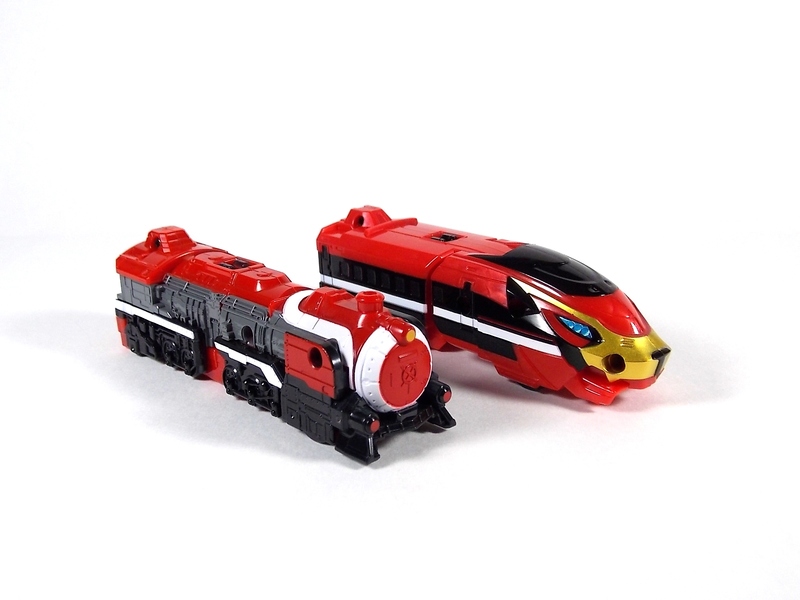 The second car of Go-Busters Ressha can then fold outward, almost inside out, revealing the new head and a set of clips to plug it in where ToQ Oh's head normally goes. Unfortunately this design doesn't match up with how it should really look. Because now you have a square block hanging off the back of the new combined head, rather than a smooth free standing head. But this is the compromise made for the transformation. 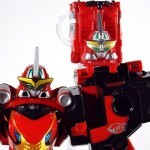 As for the head itself it's based on none other than Go-Buster Ace's from Tokumei Sentai Go-busters! So it of course has the trademark shades look In comparing it to the original DX Go-Busters Ace's head you can see quite a few differences. It doesn't have the moving head fin or visor pieces and doesn't feature the translucent plastic of the visor either. Otherwise it's a fine approximation of the head sculpt, albeit it much flatter because of the way it transforms. 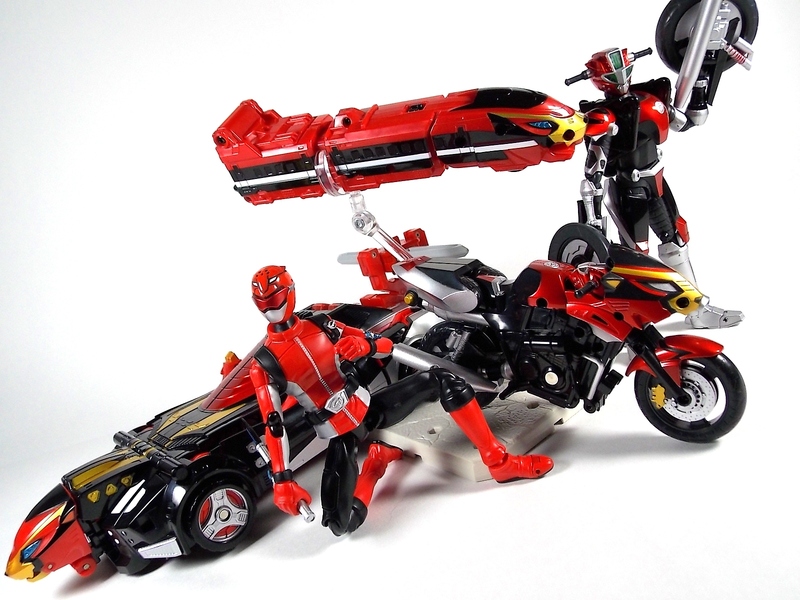 When combined this form is known as ToQ Oh Go-Buster Ace. 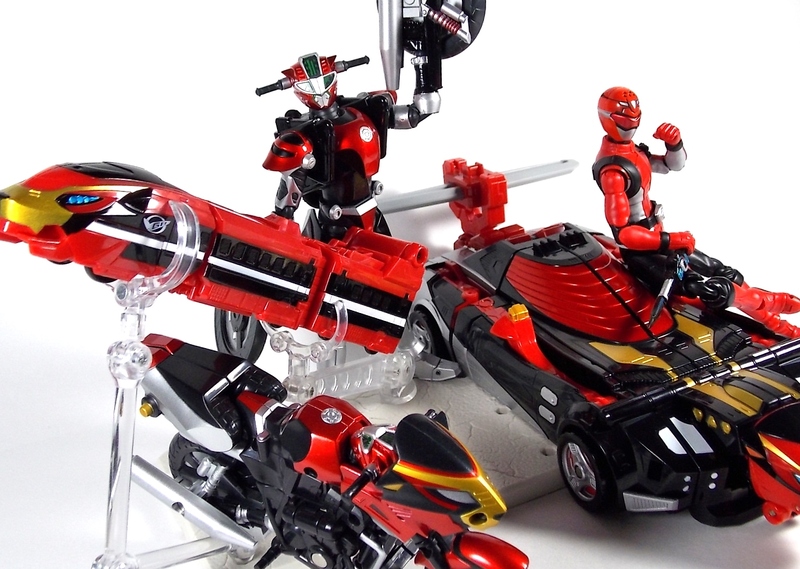 At the very affordable prices these additional Legend Sentai Resshas retail for, you should definitely pick them up. 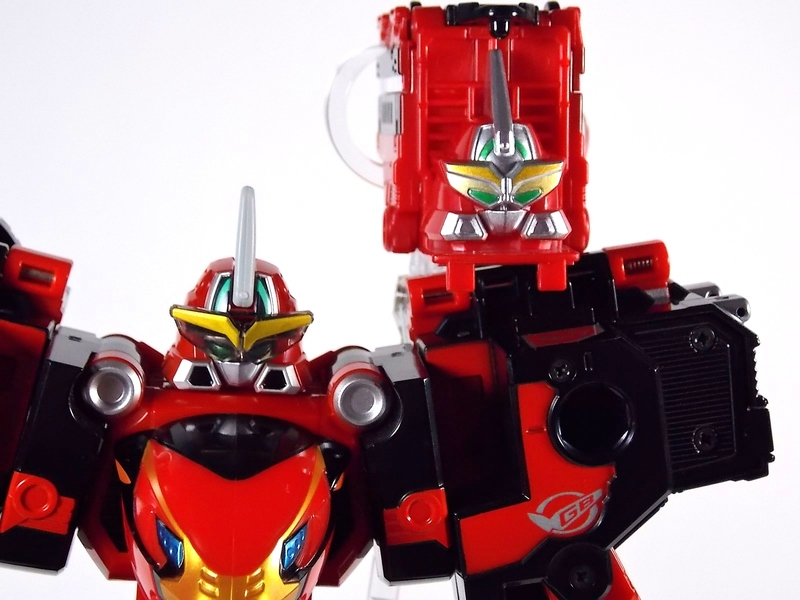 DX Go-Busters Ressha is worth it. HA! 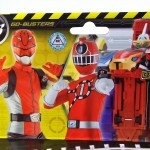 and they said GoBusters was dead! I feel the train mode for this guy is really, really sharp. Might not be getting it, but it does look cool!